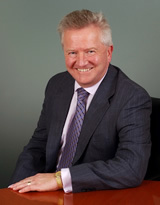 UK air traffic services provider, NATS, has announced the appointment of Dr. Paul Golby CBE as Chairman of the Board. He will take up the position on 6 October 2014. Dr. Golby succeeds John Devaney who has been Chairman since 2005.